Notes: Handcrafted in a small ( 52 gallon) copper pot still in a grain to clay flask operation at Stokerrij De Moor,the smallest active grain distillery in Belgium. Located in Aalst, Belgium and founded in 1910, the owner was killed in 1914 during the German invasion of WWI when the Germans came to strip out the genever distilleries of their copper. During this time almost all genever distillation stopped and the traditional genever almost became extinct. After the war the founder’s widow, Anna rebuilt the distillery and now 4 generations down the road, we are lucky enough to have this original family recipe genever here in the United States. Unlike many distilleries these days this one still malts and ferments its own grains and makes it’s own wort/beer onsite -an expensive, labor,time and space intensive process. Many distilleries, even the smaller ones now buy bulk alcohol and rectify ( redistill) the alcohol and then mix in their botanicals or essences. The Diep Old Genever is double distilled in a copper pot still using 19th century techniques to distill a mix of rye, wheat, malted barley and 9 botanicals some of which gin enthusiasts will recognize – some not so much. The botanicals are also used in very different proportions than in a London Dry Style Gin.The botanicals are added directly to the malt during distillation ( unlike a lot of compound gins which add the oils and essences to a neutral grain spirit – this type of manufacture gained notoriety during prohibition as ‘Bathtub Gin’ as the same techniques were used. After distillation the spirit is then double barrel aged in two different woods, a toasted Limousin Oak barrel used to age Pomerol in the Bordeaux area for 18 months, then decanted into a Saint Emilion barrel from the same source for a further 12 – 15 months for a total of over 2 years approaching 3 years. First Impression: A delicious cereal malt, spices and slightly floral bouquet with hints of wine and oak notes thrown in for good measure. Very slight background notes of grain alcohol wrapping around an orchestra of wonderful aromatics. The malt grains perform a lovely backdrop to the more aromatic, but subtle spiciness that you can smell as soon as you open the bottle. Taste: Thinks of this as a very malty, flavored rye aged in wine barrels as a start. Lovely smooth oily entry of a slightly sweet, spicy start with fruity notes and some nice wine,oak,leather,grape, malt and slight pepper notes with a moderately long slightly drying finish that somehow retains sweet sour rye grain notes. Wonderful complex parade of flavors that delights and challenges the senses in a nice way. Drinks: Dust of those classic cocktail recipe books ( or reprints of same) that call for a Dutch, American, Hollands or any other gin that is not a London Dry. Also remember that the bulk of gin cocktails especially older American ones, originally called for this type of gin. Makes an astounding Tom Collins, Fancy Gin Cocktail or even an Old Fashioned gin cocktail. The overall complexity and maltiness make this even a great stand in for a number of whiskey cocktails. A must have for your mixing cabinet or bar. Bottle: Very traditional clay bottle with gold brown glaze and natural cork stopper with topper . Can’t mistake this bottle for anything else on a store or bar shelf. Attractive graphics on paper labels finish the package. 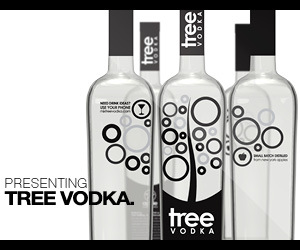 The bottle can be easily recycled for other uses afterwards – unlike a lot of other liquor bottles. Other: One of the few genevers imported to the US and by far one of the most flavorful. To use a Scotch analogy if all the others were Highlands or maybe Speyside, this would be an Islay. Final Thoughts: While a bit different from Dutch Genever in some ways ( similar to Polish and Russian vodkas in that they are distinct from each other, both claim the spirits as their own, and true aficionados can tell the difference, but most people can’t unless they have tried both side by side) this is a lovely Belgian Genever that knocks the socks off any other ‘genever’ that is currently imported into the United States the others being pale ( in many senses of the word) imitations or genever lite – they just don’t have the depth or complexity of a lot of genevers in general and this one in particular. I am glad to see the importation of this genever will let people here in the United States get a glimpse of what they are missing. 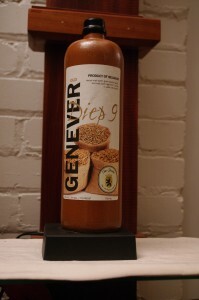 Diep 9 Old Genever redefines genever in the US and sets a new standard for others to try to match. 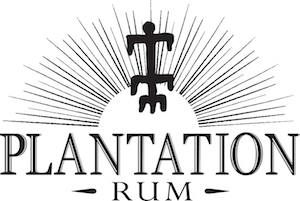 A nicely laid out if simple and straightforward website, with a wealth of information about that gin you may have never heard of or heard very little of before. Also some great links to articles and other resources such as the National Gin Museum in Hasselt, Belgium ( which we toured – see pictures in our adventure section) a place which during the gin festival they turn off the water to the public fountain and replace it with gin.